This is the Transpersonal Self, our connecting link with the Upper world or Source. She travels inter-dimensionally and is in touch with the Ewaz, who heads up the Sisterhood of Space. Ewaz commands the Mother Mu or Starship. Her mathematical contact code is 00019, projected from Sarpa Rajni’s third eye on a slide of hot-pink living light. Ewaz uses the ship’s frequencies to help dissipate big storms. Sarpa Rajni Mata is Power Personified. Her feats are considered supernatural by human standards. She feeds us new knowledge and wisdom and guides us to our next lessons, which turn out to be blessings in disguise. 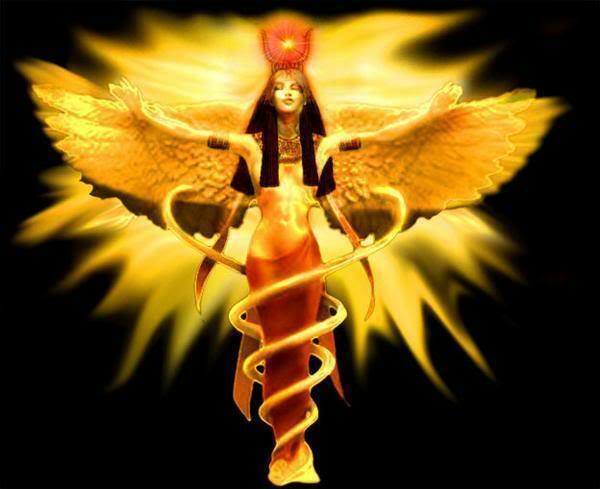 Serpent Queen Mother manifests all our needs including health, wealth, intuition, gratitude, worship and wisdom. She particularly likes ceremonies done in Her honor. Any shade of red is hers but she prefers watermelon red for Power. All snake-like movements can call her forth and she loves snakeskin. 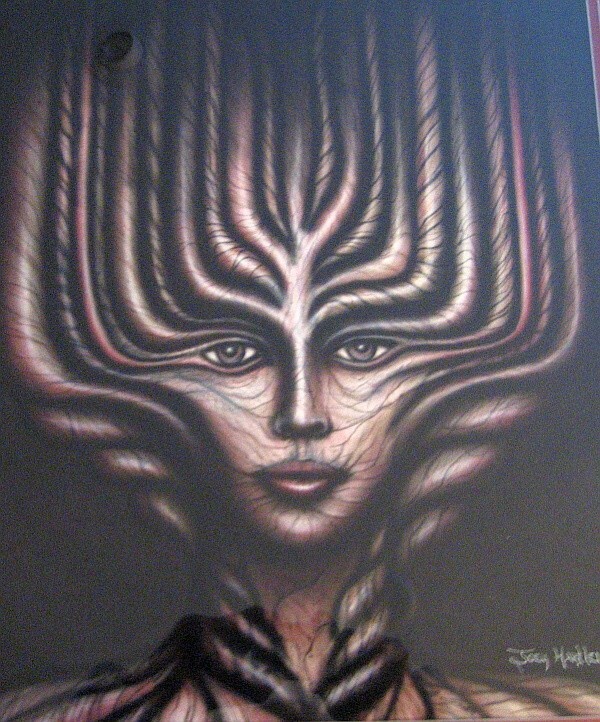 Like her totem, she gives us the ability to transform and regenerate. All ‘S’ sounds and curves in nature belong to her. Sarpa Rajni is the great spiraling energy that comes down from the sky and up, out of the Earth. Sarpa Rajni Mata is the original Great Mother Energy that was worshiped when God was a Woman and she protects, loves and guides her children, wanting only the best that life has to offer each of them. Deep red roses please her, as do fresh air, sunshine, smiles and laughter. Joy and bliss are her gifts, as is the state of mind of nothingness, or blank mind. She lives, moves and has Her being within each of us and is the living, breathing Kula-Kundalini Force that lies at the base of all our spines.